As an online publisher, my inbox is flooded daily with all sorts of requests – everything from pitches for guest blog posts, proposals for partnerships, product reviews, requests for advice, and promotional inquiries. 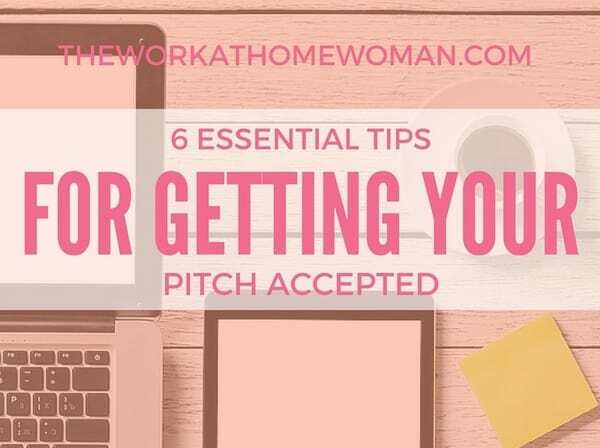 No matter what you're pitching — there are some general tips that will help you get your proposal or request accepted. I've received numerous emails addressed: Dear Webmaster, Sir, Madam, and my personal favorite, Hey You! Nothing is worse than receiving an email with a vague and general salutation – especially when my email address contains my first name! Take the time to get to know the person who you are emailing and personalize your email with the individual’s first name. Can’t find their name anywhere on their website? Check out their social media profiles and dig around, more than likely you’ll be able to find their name listed somewhere. 2. Short, SWEET, and Concise. Notice how the sweet is in all caps?! Everyone likes hearing compliments, and in business, it’s no different. Take the time to let the person know why you like their site/product and why it’s a good fit for your proposal. Along with this make sure to craft your email, so that it is short, sweet, and to the point – nobody wants to read a novel. Just because you’re targeting women and I’m targeting women – doesn’t necessarily mean we're targeting the same audience. Do your due diligence and learn about the person you’re pitching. Most websites have all the information you need on a few key pages. Take the time to seek out these pages. These pages are generally labeled: About, Advertising, Contact, FAQ, Write For Us, etc. Take it one step further by familiarizing yourself with their content and products. Follow them on their social channels and share their posts. By doing this, you can ensure that there is a good fit between your audiences and it will help to build and nurture the relationship. To stay on track, keep a spreadsheet containing the recipient's names, email addresses, websites, social media profiles, the date of the first contact, date of follow-up, and responses. Having clear documentation will keep you organized so that you don't contact recipients with the same request over and over again. 4. No Canned Emails or Press Releases. Don’t copy and paste your press release or canned introduction into the body of an email – this shows that you're not willing to take the time to draft a query that explains why you're emailing and how it will benefit both parties involved. Personalize your email and be clear in what you’re asking. Saying you want to partner with someone could mean a million different things. 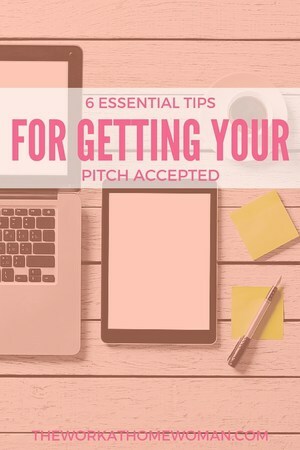 Craft a pitch that is clear, concise, and to the point – and always remember to include the benefits to the individual. 5. Where Are Your Manners? Just because you’re working online and people remain somewhat anonymous, it is never okay to be rude, demanding, or disrespectful. Your pitch should always be friendly, polite, and professional. Make sure that you correctly spell the individual’s name, and that your query has been checked for errors and typos. Your initial pitch or query email sets the tone for all future encounters, so make it count. Sloppy and unprofessional pitches most often end up in the trash, or worse, you burn a bridge before you've even had a chance to establish a relationship. 6. Take Without the Give. Often people will ask me to share their blog post, add a link to their website, or promote something for FREE. In the face-to-face world, would you go up to someone you've never met and ask them for a favor? No, of course not! So why would it be acceptable online? If you want someone to do something for you-you need to figure out what's in it for them first. If your request for a partnership is one-sided, you need to go back and figure out how you can assist that person in their business. Do not email them and offer a partnership without any ideas — be thoughtful in your request. The more time you take brainstorming ideas and benefits, the more likely your request will be granted, and a partnership formed. By taking your time upfront, you’ll yourself save time and money on the backend, by scoring some strong partnerships and PR opportunities for your business. I read blogs on how to make money blogging all of the time . I’ve tried and I haven’t been successful. Actually I was offered a blog makeover in order to get in line with sponsors but it was mess. I get spammed all of the time with phony sponsors. I’ve been offered training where I pay for tutorials and it ends being more money for the organizer and meanwhile I’m left without any accomplishments. Are these real ways to get paid as a blogger? I’m beginning to wonder. Yes, you can earn money through sponsored content. Really enjoyed reading about all the help and skills it was very educational thank you! http://mynameisjamie.net. My tablet isn’t letting me put my URL in the website box. I appreciate what you have at this site. I spend a lot of time on my website because it is gaining the readers for the book I’m writing about the subject at the website, the life of Jamie Cummings currently residing in Huntsville prison. 2 random chapters are posted heir under the title of the book, InsideOut. Since I will be self publishing, learning how to sell this to the universe is very important to me. I want to learn how to guest blog and also have others guest blog at my site. So much to learn! I know it is very tough job to work in blogs, specially when you are writing a new blog article. I am also suffering the same thing. I usually eliminate the Email by simple reading the Heading, plus before approving any author for Guest posting I simply check the previous article post to get exact result. Thanks for the tips, Alexander. amen, Holly! you must’ve been reading my mind. last week i received a pitch from someone who wanted me to review their skin care line. when i replied to the email advising what the investment would be, the person did a complete 180. as if i’m not supposed to be paid for my work. because remember – blogging is work. and to make it even worse..the pitch was canned. thanks for sharing these best practices! Hi Donna – I don’t know if individuals know how much work goes into reading proposals, editing guest posts, running giveaways and doing reviews. I just try to educate so that we can all get along. Love your new photo!